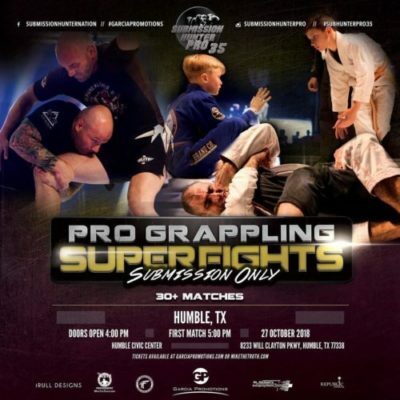 Submission Hunter Pro grappling super fights series returns to the Humble Civic Center on October 27 for SHP 35. The Saturday show will feature 30+ grappling matches, doors open at 4pm. You can support your favorite grappler by purchasing tickets here at MikeTheTruth.com. Grapplers receive a percentage of their sales from my website.